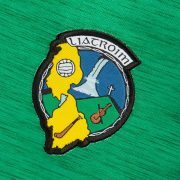 Following last weekend’s victorious trip to Birmingham, where the Leitrim Hurlers had a great victory over Warwickshire, it’s back to home soil again tomorrow as the lads face Lancashire in Ballinamore with a 2.30pm throw in. Buoyed up by last week’s result we are hopeful of a home victory which would set up nicely a final round match on Saturday 23rd in Enniskillen versus Fermanagh. In any event it’s one day at a time and for the moment let’s wish the team and management the very best of luck in tomorrow’s encounter.